Work for DataGrail Privacy Portal? Learning about DataGrail Privacy Portal? "GDPR Compliance is Now Super Easy"
Mallory and Daniel are amazing to work with. They think way beyond the platform they're building and consider how GDPR has affected my day-to-day work, team structure, created dependencies, and informs my strategy. It's an absolute pleasure working with such a visionary and proactive team. As far as the platform goes, I especially like how easy it has become to process data requests. I've got complete peace-of-mind and no worries that I may put the organization at risk due to human error or an overlooked request. I wouldn't say I dislike anything about the platform. Since we're a media company, we do receive some "data requests" that are not really data requests. Often, we get pitches for new content through the portal, but I'm not sure this is a shortfall of the portal. The DataGrail team has been incredibly proactive to identify and build out integrations I recognize could be useful, even though I'm just a small fish. If you're considering using DataGrail, meet with their team early in your evaluation process. They're unbelievably proactive and will help you evaluate integration requirements, strategic implications, and more. Well worth the early conversation! 3) Improved our partners' confidence in our compliance with regulations, and made it smoother to work with very big brands without any headaches. "These guys are GDPR pros. Very impressed with their knowledge. " Daniel and Earl are AWESOME to work with. They are doing way more than just providing a tool. They really know their stuff - inside and out, like a consultancy that walks you through every step of the process. I was particularly pleased with their ability to adapt to the unique challenges of our business, during my time at Sales Hacker. I wouldn't say I "disliked" anything - but as an early customer (we were one of the first), the DataGrail platform was still evolving and lacked some feature capabilities we were hoping for. That said, the DataGrail engineering team was fantastic in taking our feedback and translating that into sprints for new feature development. At Sales Hacker - our partners were high profile brands such as Microsoft, LinkedIn, Adobe, DocuSign and more. We needed a platform and counsel to ensure that our partners felt safe and confident exchanging data with us. The DataGrail team supported us throughout the entire process and went above and beyond to make sure we were compliant with our data management. "Great Onboarding - Very Attentive Team"
They are helping with our GDPR compliance and making sure that we control our user data. They make the process very simple and easy to set up with well documented support. "Datagrail Keeps Us Compliant "
-Easy and convenient workflow to get a DSR through the finish line. -Awesome and helpful team that has made implementation of the tool an enjoyable process. -Reminders to make sure we are compliant for a 30 day request. -Simple integrations with our systems. The UI is still maturing and adding additional ways to view and process our requests. I'd like to see the option to process more than one email address at a time. 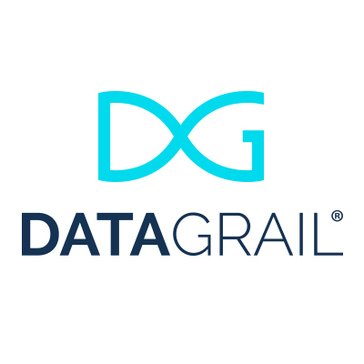 We are using Datagrail to satisfy our GDPR requests from customers. Datagrail has made this an easy process for our teams from Engineering, Legal and Security. * We monitor all DataGrail Privacy Portal reviews to prevent fraudulent reviews and keep review quality high. We do not post reviews by company employees or direct competitors. Validated reviews require the user to submit a screenshot of the product containing their user ID, in order to verify a user is an actual user of the product. Hi there! Are you looking to implement a solution like DataGrail Privacy Portal?